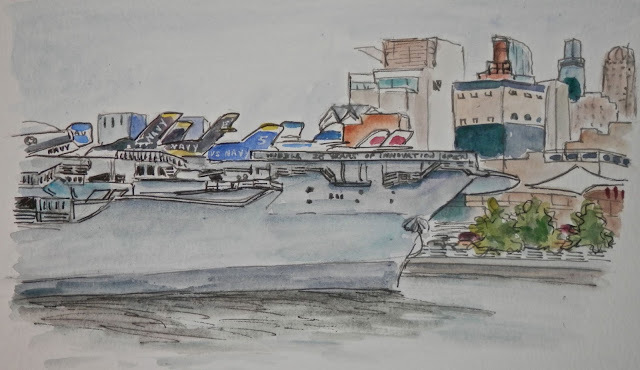 It was drizzling when I got to the city, but like a true urban sketching trooper I headed off down 44th St to 12th Avenue and the Intrepid. I spotted Jim across the park and he was sitting under an overhang (smart man). It turned out to be a great spot to sketch from while it was raining. The next time I complain about sketching sailboats here on Long Island and not knowing what the parts are, someone please remind me of today. Of course I wanted to include every detail I saw. I just couldn't leave it simple. This ship was just so huge and overwhelming. I did two parts of it, but a large section in the middle is still missing. After a nice lunch we walked up 44th St between 9th and 10th Avenues where they were having a huge block association flea market. There was interesting merchandise and some interesting characters walking by. Svetlana, Michael, and I found spots out of the traffic and sketched away. Time flies when you are sketching. I wish I could have sketched more. 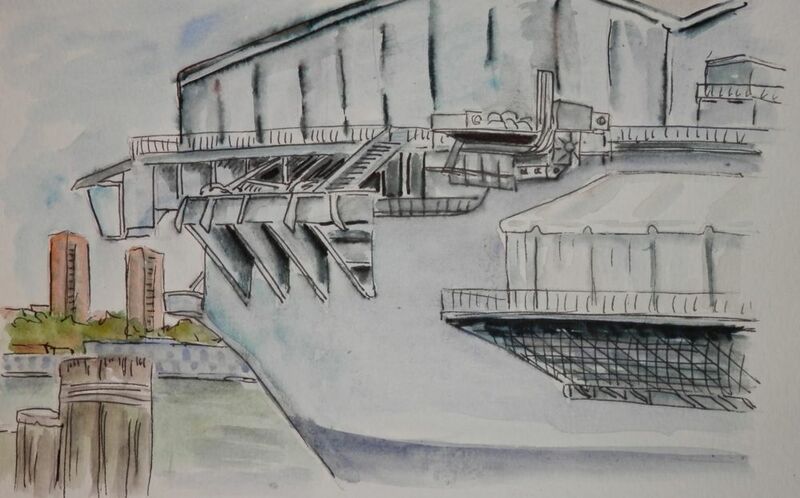 Nice job on the Intrepid, Joan! The first time is totally overwhelming, and because of who "she" is, there is extra meaning attached to doing her justice. Nice work on an overwhelming subject! All of the other boats you have done in the past are like bathtub size compared to this. LOL. 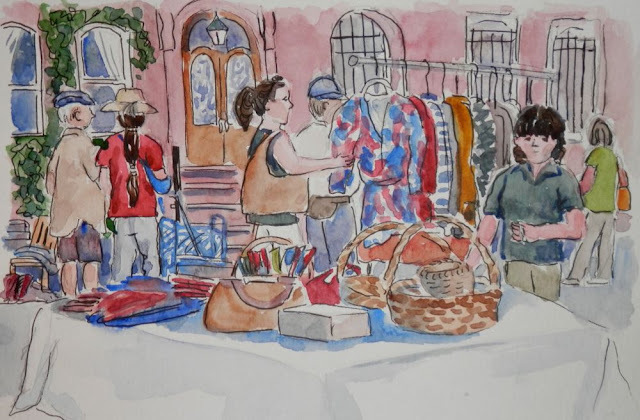 I also like the capture of the yard sale .